LED Connection cable for handrail lighting with pre-fitted connection pin at one end for a quick installation. Supplied in lengths of 500mm, suitable for trimming to your required size. IP54 safety class for outdoor use. For use with white LED handrail strip lighting - Mod 62. Installation must be carried out by a qualified electrician according to the applicable local regulations and standards. For further information regarding LED Handrail Lighting simply contact our technical team on 01302 752 504 or email us at info@s3i.co.uk. 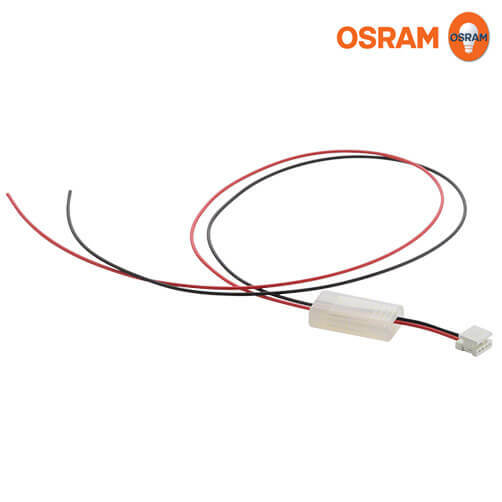 LED Strip Lighting - Mod 62 - White - 25.2W - 24V. Transformers - 12V and 24V power supply. 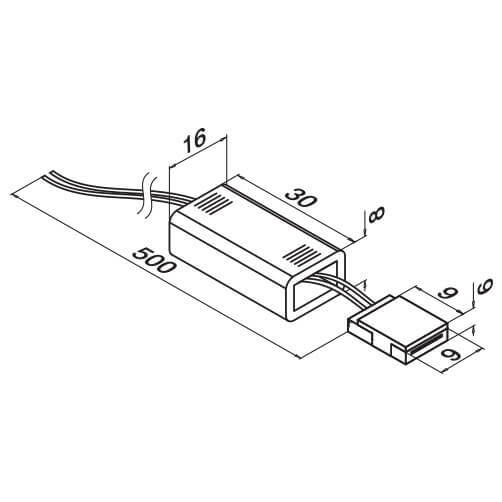 Coupling Connector for LED handrail lighting. Electrical Cable for LED handrail lighting.